Hannah Moore has experienced a lifetime of hurt. First Baptist Leesburg is a church arguing about their responsibilities to the needy in their community. When their paths cross, both are changed forever. 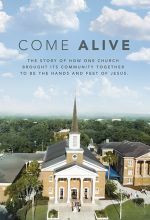 Inspired by the true experiences of the First Baptist Church in Leesburg, Florida, The Touch follows Hannah’s journey towards discovering grace and real love.